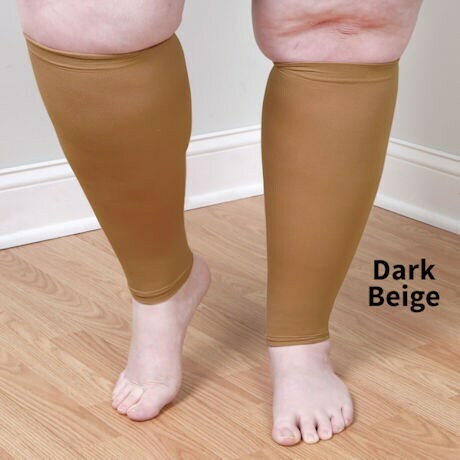 Compression sleeves now available for true wide calves (up to 26" calf!). 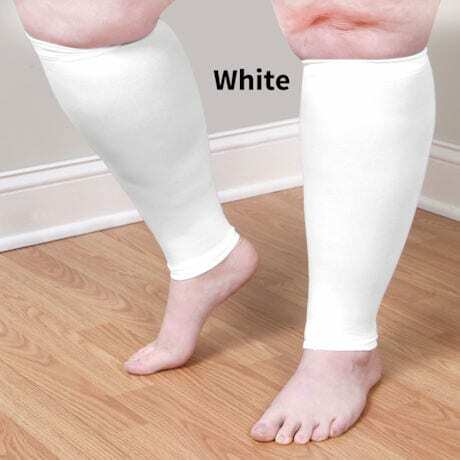 When full foot socks are too cumbersome or harder to put on. 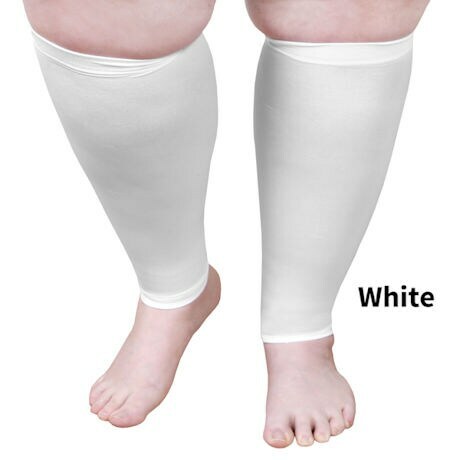 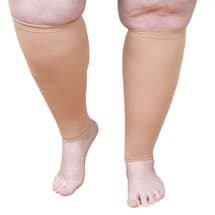 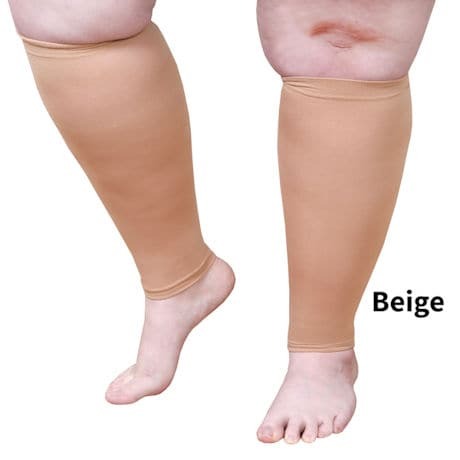 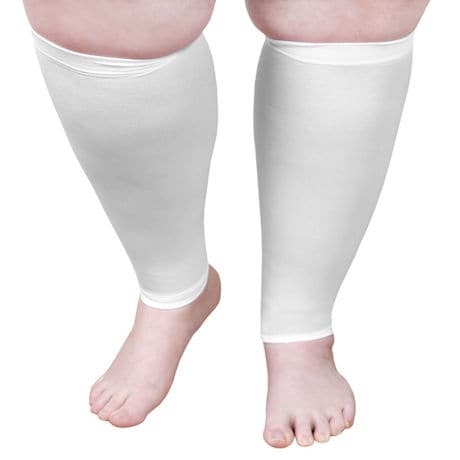 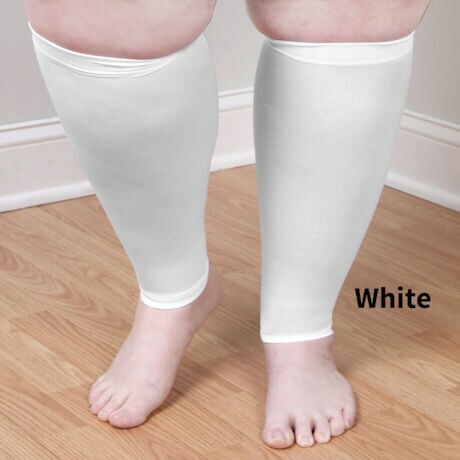 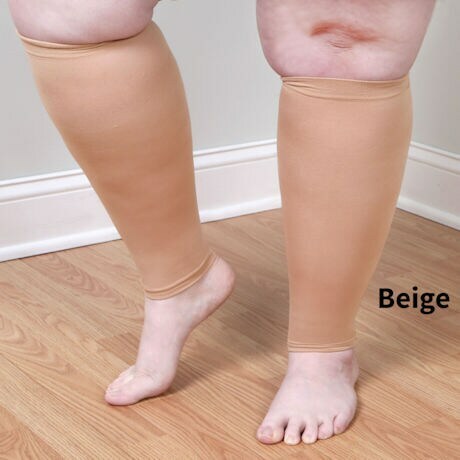 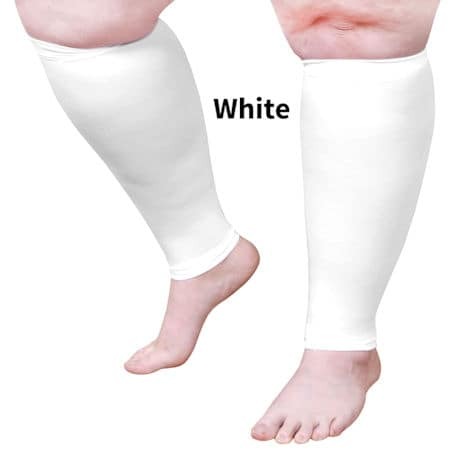 Semi-sheer moderate compression knee highs fit wider calves, yet still maintain accurate, medical-grade compression at the ankle. 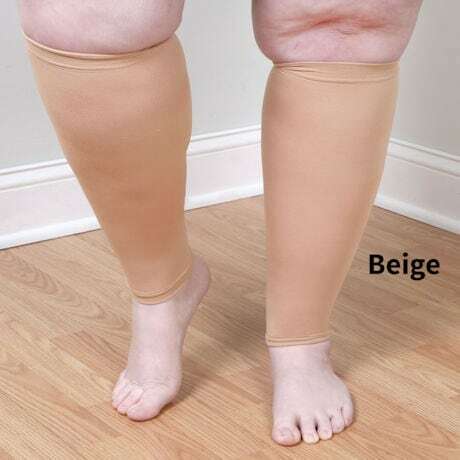 One size fits most extra calves. Colors: Beige, Dark Beige or White. 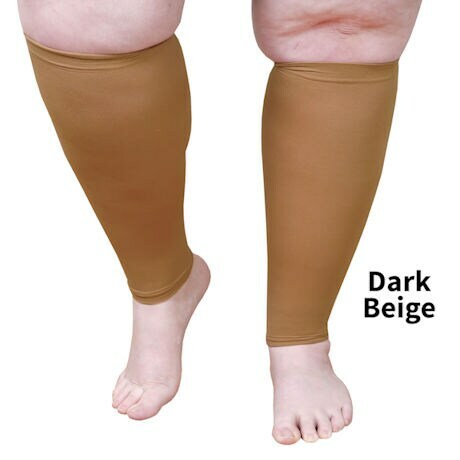 Moderate 15-20 mmHg.